Our civil engineering undergraduate program emphasizes open-ended problems, global awareness and undergraduate research. The program is characterized by a high degree of faculty-student interactions, both inside and outside the classroom. As a civil engineer, you could help build a school that could withstand an earthquake, a road system that puts an end to chronic traffic jams, or a sports stadium that offers everyone a great view. You could also work on geotechnical field design projects and evaluate the soils, groundwater, and environmental conditions that impact construction. What makes CU Boulder civil engineering unique? The median annual salary for civil engineers was $82,220 in 2015, and the industry is projected to grow by 8 percent by 2024. The skills of environmental engineers are important for protecting the fragile resources and ecosystems of our planet. Environmental courses apply physical, chemical, and biological sciences to the design of systems to destroy toxic substances, remove pollutants from water, reduce solid waste volumes, and eliminate air contaminants. Geotechnical engineers design facilities in the earth such as tunnels, deep foundations, and pipelines, as well as earth dams, levees, embankments, and slopes constructed of soil and rock materials. In addition, many waste materials are deposited in containment areas designed by geotechnical engineers. Structural engineers analyze and design structures to ensure that they safely perform in dynamic environments. Structural engineers design stadiums, amusement park rides, bridges, office buildings, and homes using knowledge of the behaviors of steel, concrete, timber, and new materials. Water resources engineers deal with the provision of water for society’s needs and environmental protection: flood prevention; water for cities, industry, and irrigation; and waterways management. They address the impacts of weather and climate change on water supplies, drought, sea level rise, and food production. 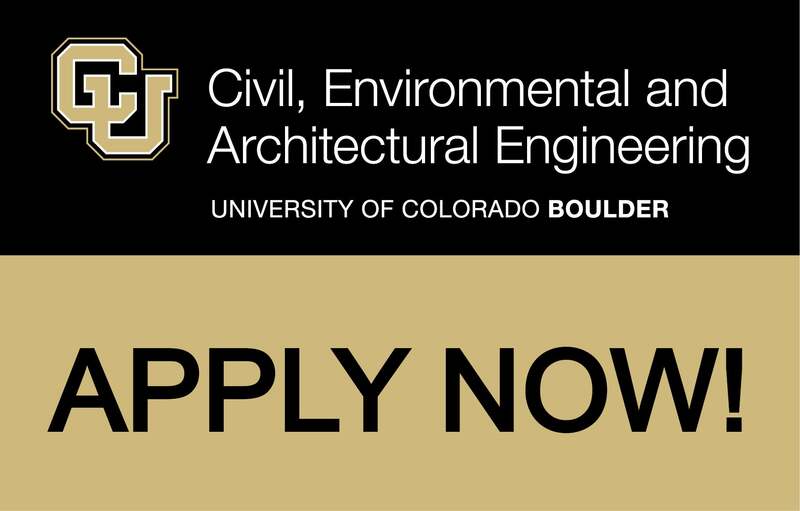 Why Choose the Civil Engineering Program at CU?